The Founders were primarily Deists, except Adams who was born Christian but even he changed as he got older, and abandoned Christianity. They all believed in a Creator. Just not a being that was involved in our daily lives. In America, our rights are bestowed to us from the Creator they believed in. Mind blown? 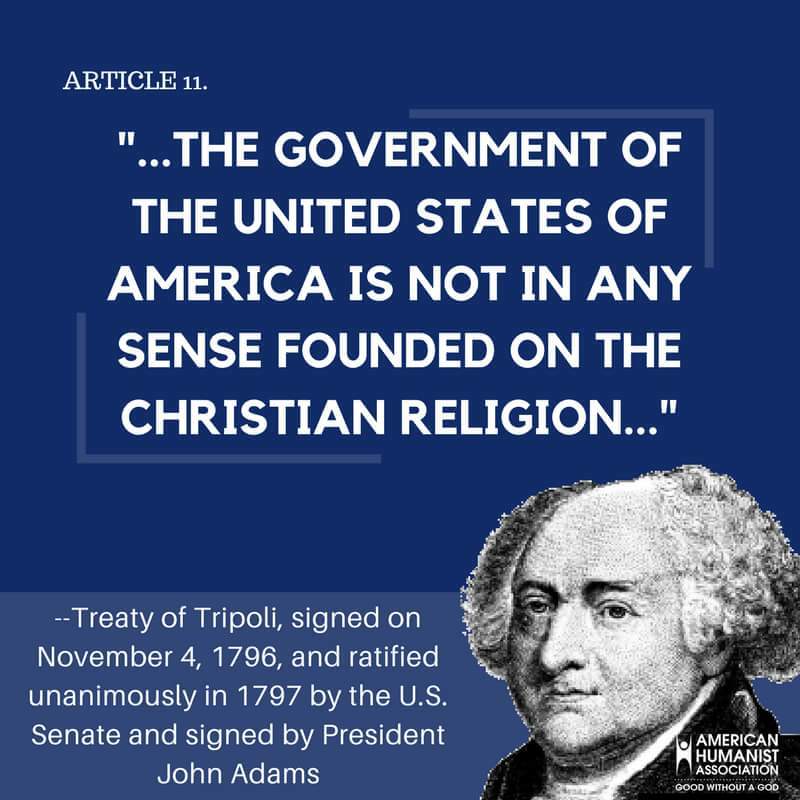 This Treaty let the world know America was not a Christian nation. Everyone was welcome. Come on over. We got cookies! Novus Ordo Seclorum; a new order for the world. By the time the Bill of Rights was signed they had promised the Jews and all religions religious liberty — free from bigotry. Not just "toleration". Liberty. Religious freedom. Many were also Freemasons (Freemasons can be of any faith as long as they believe in a Creator God). All they asked in return was for everyone to be good citizens. Jefferson even went so far as to create the Jefferson Bible, where he set out to remove all the nonsense from the Christian Bible. Our Founders were extremely learned men. It was the Age of Enlightenment.